When we had Spot, I spent a lot of time researching food. I have a friend who did the same thing. We were interested in what we were feeding our cats. We both believed that wet food was really good because of the moisture content. Cats don’t typically drink a lot of water so it is helpful when they can get moisture from their food. So a while back I looked into a lot of different foods trying to find a wet food that I could feed Spot. Spot did not like fish. So I never looked into any food with fish it. I would sometimes buy a can of cat food that was fish, but she wouldn’t eat it. I stuck to the other meats available for cats. Our two new cats (we’ve had them almost a year and a half, but I still think of it as being new) LOVE fish. Well, I have been feeding them tuna and they love that. It seems they don’t like sardines. Teagan stuck her nose in the dish and then walked away. She’s the “healthy” eater. Nessa ate a little, but, my conclusion is . . . they don’t like sardines. Now, this post is not about what food is “good” and what food is “bad” because to me that is really just opinion. We all have different situations so what brand or type of food is better or worse all depends. But I do hope there are a couple of things we all agree on. One is that cats are “obligate carnivores”. Meaning they biologically have to eat meat. Their bodies require meat. And another is, they need complete nutrition. Now if they are out in the “wild”, whether that be the backyard or the jungle and they are eating WHOLE animals, then they are more than likely getting what they need. But when we feed them, we need to make sure we are providing what they need. Because food changes often, researching and looking into food is almost a constant thing for me and because these girls like fish, I am looking into and researching cat food again. I spend a huge amount of time researching cat food. Pet food is just like people food in that nutrition is very convoluted. Anyway, what I am finding lately is there is a lot – I mean a TON – of supplemental food out there. Not just what I think of as treats, but food that, for a second made me happy, but then I realized it is not good enough. When I saw some of this food that just had a few ingredients I was excited, but as I said, for a second. Then I thought, “Wait. Where is the Taurine? 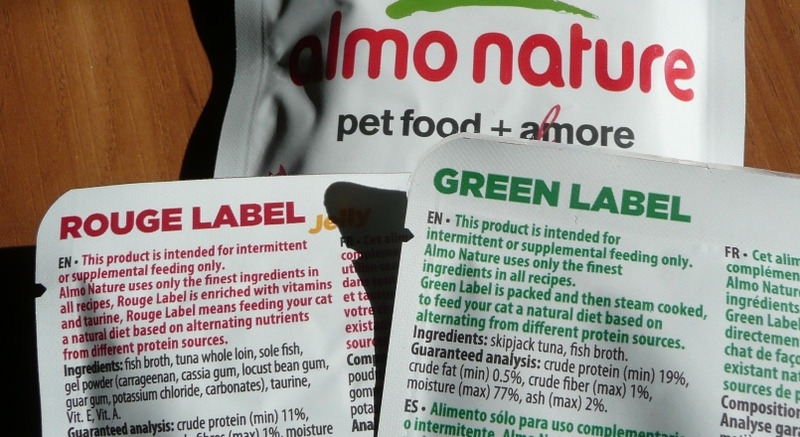 Where are all the other vitamins and minerals that the cats need? The ones that are found in bones and ALL of the organs of prey? Awww, man, this isn’t complete food.” And then I read the rest of the label and, sure enough, it is just supplemental food. I am really flabbergasted by all of the supplemental and complimentary products out there. I don’t remember seeing any of these when I was looking years ago for food for Spot. But now, almost every product I pick up says it is supplemental and complimentary. And I have always been looking at foods with limited ingredients, so that is where it is tricky. It sounds great to look at a label and see “tuna and water”. Sounds like that is what we SHOULD be feeding our cats, but it is not . . . they need other things too. So I’m just putting a reminder out there to read the labels of the food being purchased. I am not saying read the ingredients and try to determine if the product contains what your cat needs. I am just sayin’ make sure the food being fed provides a COMPLETE diet. Often times, the list of ingredients looks really “nasty” and full of chemicals, but depending on the food you buy, most of it is necessary. Because most of the food sold in stores is not a complete animal, there needs to be vitamins and minerals and things added to the food. It has to be added for the cats’ health. If the label states it is only for supplemental or complimentary feeding, then additional food, food that is COMPLETE needs to be supplied. The food is labeled one way or the other so one doesn’t even have to read all the ingredients and try to figure it out. Just look for information stating it is a complete food. Cats are trickier than dogs, I think. Cats have that whole obligate carnivore thing going on. Plus sometimes the cats themselves might appear picky in what they eat. There is so much out there, I am sure you can find something that makes you both happy. They will also be healthy when they get a diet that is COMPLETE and has all that they need to be that way! What does your cat like to eat? What is her favorite treat? This entry was posted on October 31, 2016 at 4:05 pm	and is filed under Cats. Tagged: canned food, cats must eat meat, complete cat food, complimentary cat food, obligate carnivores, Spot, Spot the cat, supplemental cat food, tuna cat food, wet food. You can follow any responses to this entry through the RSS 2.0 feed. You can leave a response, or trackback from your own site. Seven cats, wow. I can barely deal with two. One is in here right now, meowing at me. I feel like she is yelling at me — she is urgently “yeowing!” I can’t imagine seven! Oh, plus you have dogs, too, right? Of course, if you have seven, there has to be one that needs a special diet. That is just how it is. It is like the odds. And, those prescription diets are outrageously expensive! Sheesh, is right. You ARE running a restaurant for cats. Cheers to you for being able to do all that and keep track! They (cats) really are so lovable, that is why there is so many food choices and we all really just want to give them the best we can. That is why I was point out that some of the good stuff is really complete. Thank you so much, Linda for popping over here to read and comment. I appreciate it!